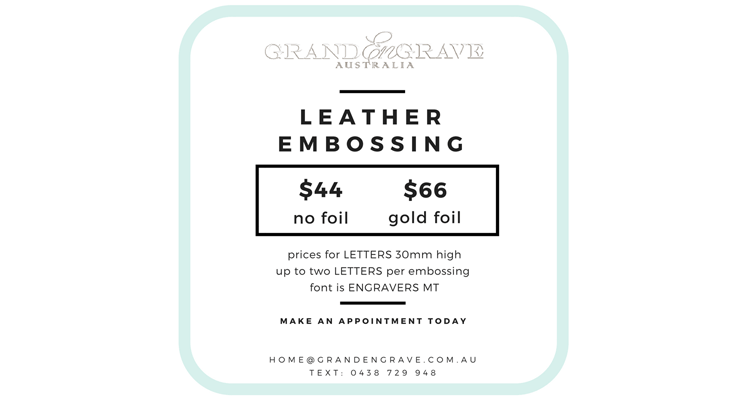 BlogHome » Blog » Leather Embossing Services are Here at Grand Engrave Brisbane! 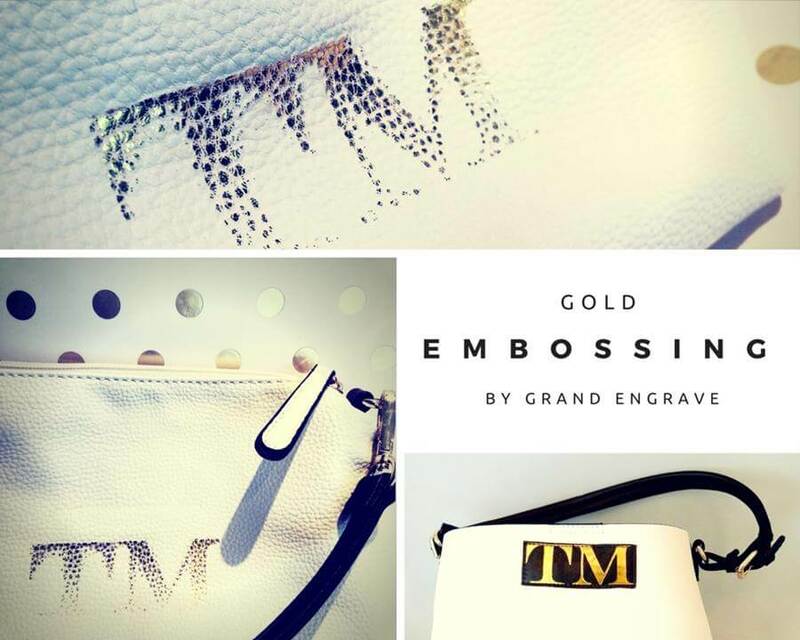 Leather Embossing has Arrived at Grand Engrave! 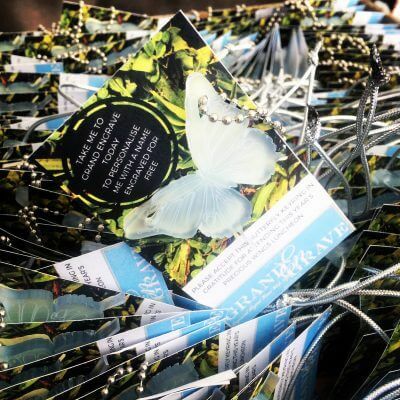 We often have people enquiring about whether we do leather embossing, which is why we have now ensured that we offer the service of embossing (as well as gold foiling) in house at our Clayfield Studio! Our new embossing machine has not only been great for our clients: it’s been giving us a lot of joy in the studio too! 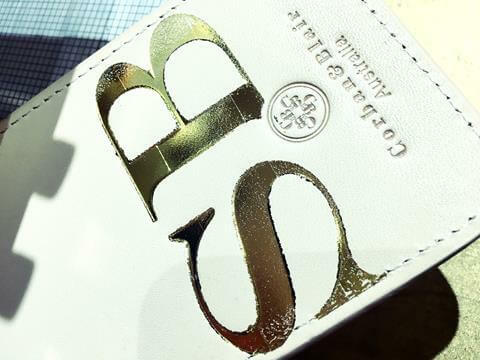 In particular we’ve found ourselves falling in love with the effects of gold foiling on embossed leather items. 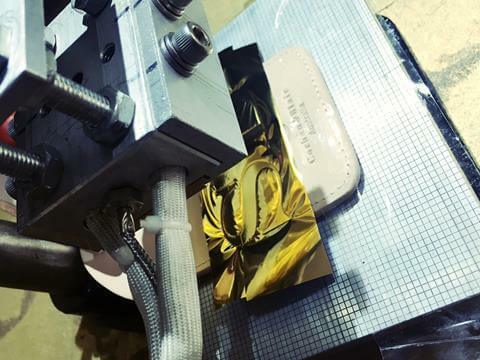 The embossing machine in action. The gold foil process close up. Leather embossing with gold foil finished. 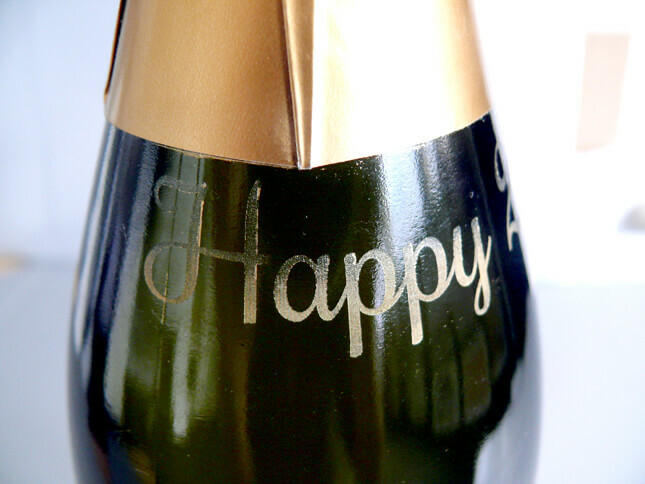 Embossing creates a raised pattern on a material’s surface. 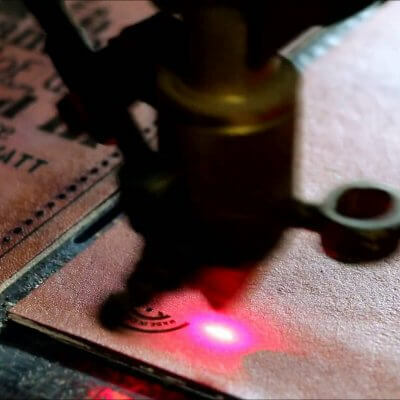 In the case of leather embossing we use a machine that stamps the leather with the letters of your choice to leave an imprint on the leather’s surface. This method needs to be applied onto a flat surface; for example we can’t emboss on an area which may have a pocket or zip behind it preventing the area from being absolutely smooth when under the embossing machine. 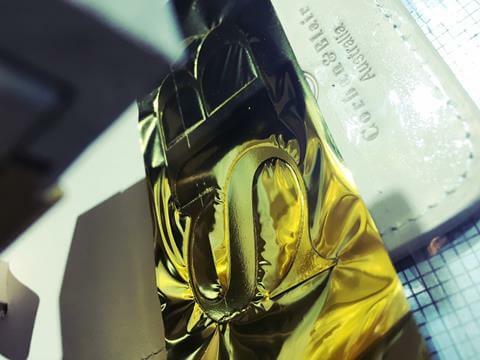 Gold foiling is the application of metallic foil during the embossing process. The foil is placed between the stamp and the leather to leave a semi-permanent antique gold finish that enhances the embossed design. 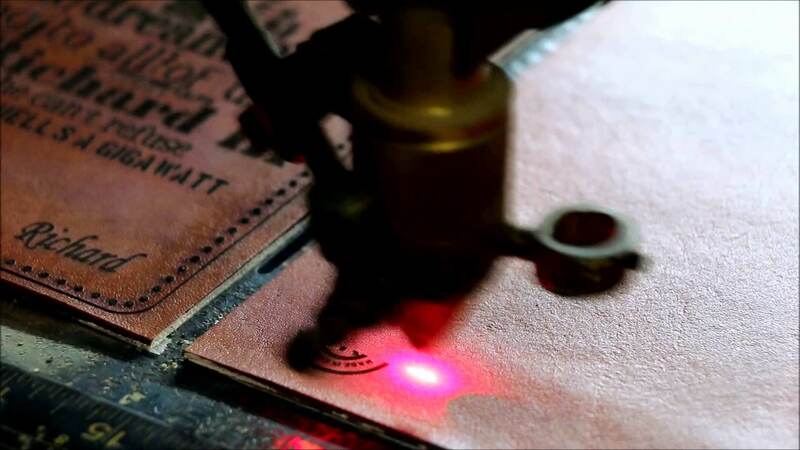 Embossing on smooth leather is a straight forward process that results in a crisp, clean finish. 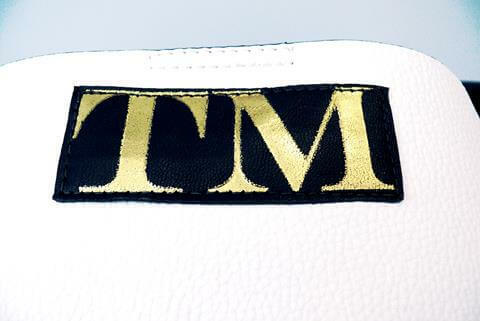 When we add a sheet of gold foil between the stamp and the leather it creates a gold fill effect upon the top surface of the leather. 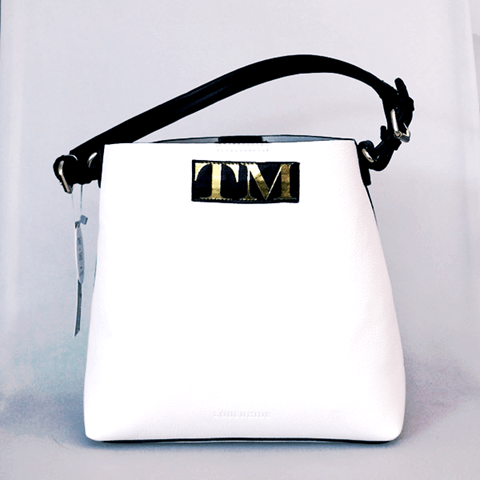 This can be a particularly striking way in which to enhance the embossing of any leather item, especially when engraving for a special occasion. 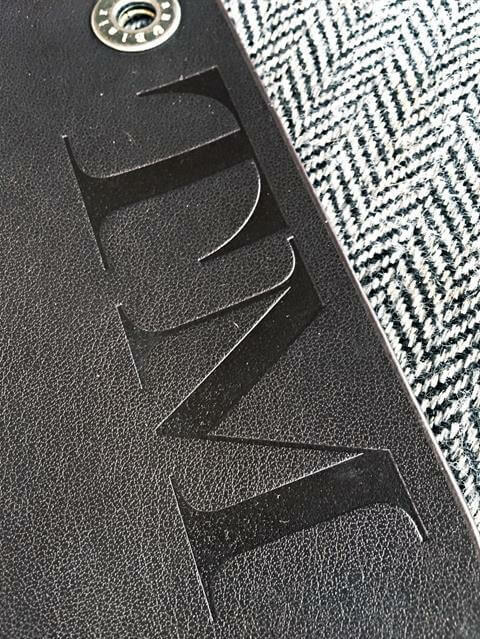 Embossing on textured leather results in a much more subtle effect. 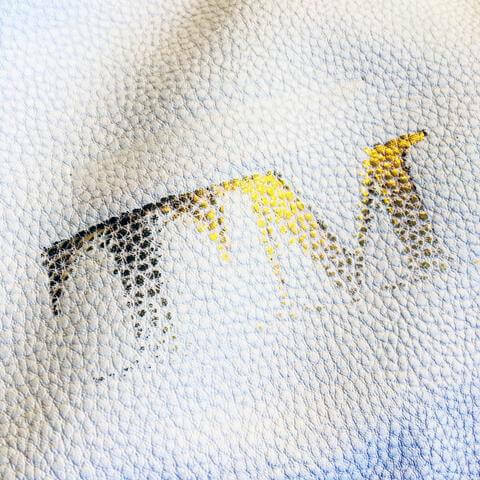 The finished embossed design is not as distinct as when done on a smooth leather surface; however we have discovered that when gold foil is applied during the embossing process on textured leather it can result in a beautiful stippled effect. Gold foil embossing is a semi-permanent process, and on textured leather the finish is more delicate and will vary in appearance each time. But we think you will agree that the antique effect is simply gorgeous. 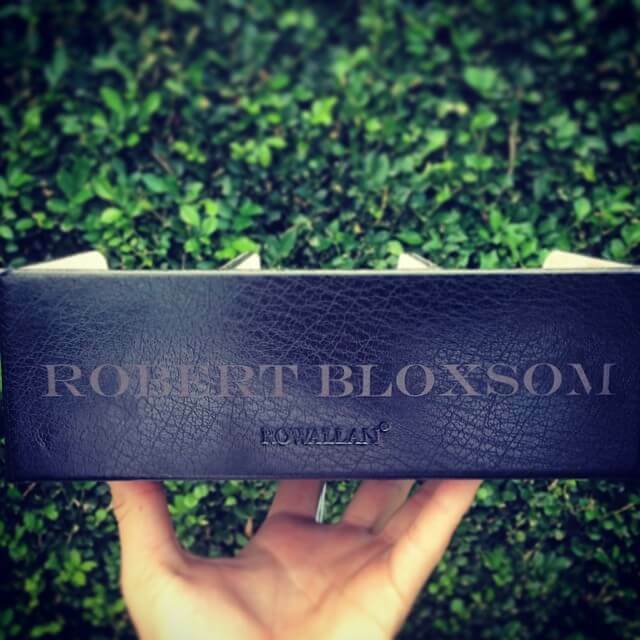 Embossing on smooth leather with no gold foil is the most classic application of this timeless process. 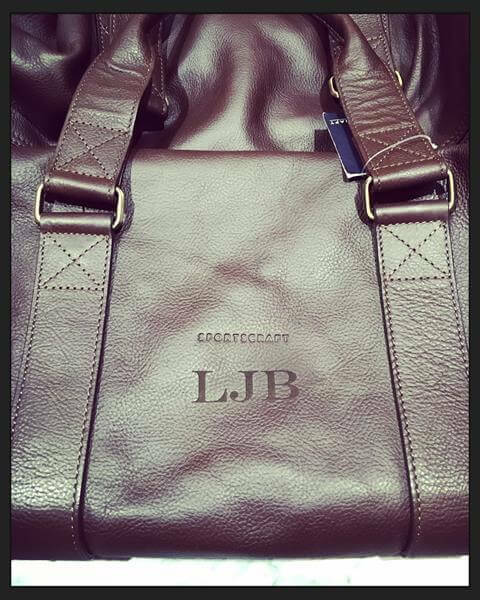 The stamped design will have a clearly defined appearance that will vary slightly in depth depending on the softness of the leather. This technique looks fabulous on any leather item, from bags to belts to book covers. 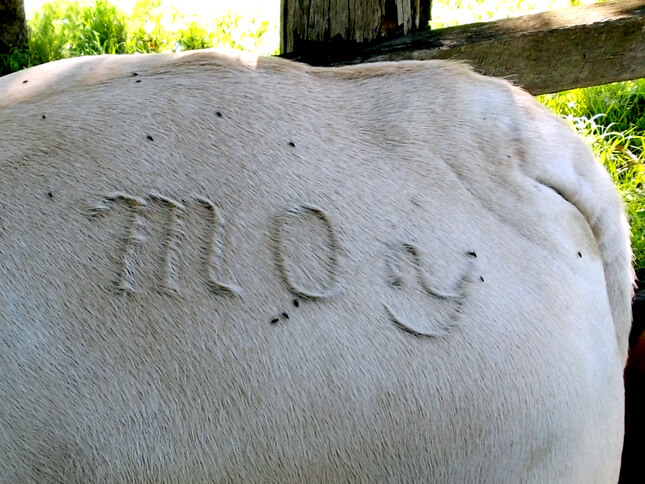 Engraving leather is the most reliable way of imprinting a design onto a leather surface. 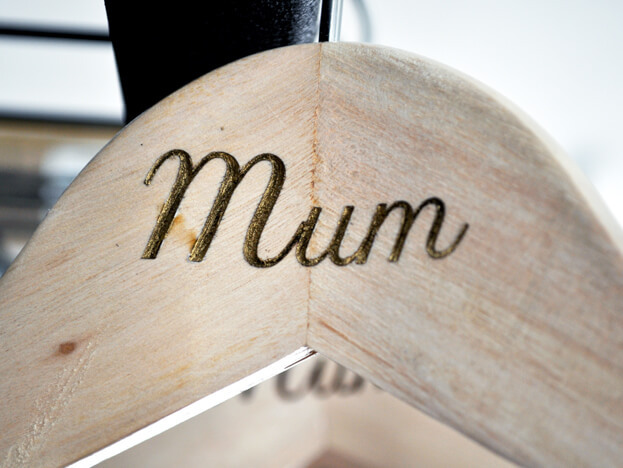 The laser accuracy allows for a full range of designs – from monograms and names through to logos and photos – to be engraved upon both smooth, textured or curved surfaces. 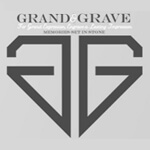 If you have a leather item you would like to have embossed, or would simply like to find out more about the embossing service that we offer from our Clayfield Brisbane studio, simply send us an email to home@grandengrave.com.au. Please Note: Prices in the blog post are correct as of the post’s publishing date. These prices are subject to variation. Terms and Conditions apply.